Ways to Save Energy at Home! For most homeowners, saving money on energy bills is a huge budgetary priority. We want to spend less to heat and cool our homes. 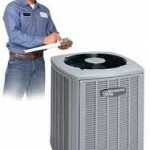 While we naturally think first of installing a higher efficiency furnace or heat pump, or replacing the outdated air conditioner, the truth is that good savings can also be realized by doing the little things that add up. Let’s take a look at the top energy-saving tips that will reduce bills in any home. For many ideas on how to save, please take a look at our partners complete home energy audit system. Their are many ideas in this kit that will save you hundreds of dollars each year. 1. Start by increasing the insulation factor in your home. Even if you have high-efficiency HVAC components you’ll lose money if you can’t keep warm air in during the warming season and cool air in when it gets hot. Increasing the levels of insulation in your roof is the single most cost-effective way to save money on energy, especially if your home was built before about 1980. While you are adding insulation, keep an eye out for cracks, holes or poorly fitted windows where cooled/heated air is escaping. Sealing air leaks is a vital part of properly insulating your home. 2. Choose energy saving windows. In cold weather windows let heat escape. The opposite is true in hot weather. Therefore, select Energy Star rated windows proven to insulate adequately. If you can replace your existing windows go with low-e glass or spectrally selective panes. When you can’t replace windows consider covering them from the inside with securely fitting plastic sheeting, a money-saver in cold climates. In warm climates consider installing reflective blinds or shades that will repel heat away from your home. 3. 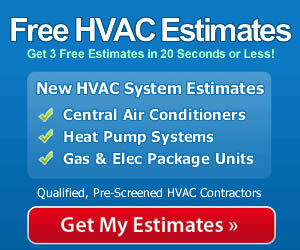 Install high efficiency HVAC systems. Replacing an 80% efficient furnace with a 95% efficient model will produce a 15% savings on your energy usage. The math isn’t difficult and the savings add up quickly. Even with Energy Star rated components there may be simple but effective ways to reduce energy consumption. A brief list includes maintaining your furnace’s filters as required, keeping the water heater thermostat at 120F or below, and setting your thermostat as low as possible in the heating months. Wearing a sweater instead of short sleeves may save $200 over the course of the winter! 4. Install a programmable thermostat. This allows you to reduce heating when the house is empty or when everyone is snuggled warmly at night under down comforters. Program the heat to rise before you arise or return home and you’ll save money without ever being uncomfortably cool. The little things add up! Implement these energy savings tips and start reducing your utility bills today.